It’s not uncommon for recently engaged couples to begin wondering how soon they should start planning for their wedding or wedding reception. The truth is, there is no better time to start than the present. If you know what date your wedding will be, you can now begin looking for a wedding reception venue. One of the biggest pitfalls that engaged couples run into is taking too long to book their perfect wedding reception venue. Often, some dates will fill much faster than others, leading you frantically searching for a replacement if you have waited too long. This is especially true if you are getting married during a popular “wedding season”. In many cases, couples will book their desired wedding reception venue incredibly far in advance to ensure availability. For instance, a simple Google search will show forum posts of the question “how soon should I book my wedding reception venue?”. Most answers that you will see will give a range anywhere from 16 to 18 months based on first-hand experience. There are many different aspects you should take into account when touring potential venues. It would suit you well to create a checklist of the things you require in a venue to see how well the venue you tour lines up with them. Here are some considerations you should keep in mind when touring a potential venue. Price – If you have followed our previous blogs, you have likely gained some valuable information on budgeting. It is important to keep your expectations in bounds for the budget you have prepared. And remember, minor retouches to make the venue suitable will be less expensive than a complete redesign. Location – The location of your wedding reception can play an important role in the number of people who show and how much they enjoy the day. Access to nearby hotels and other resources can help make the stay more enjoyable. It is also to take into account any traffic that may be faced. Flexibility – Depending on what you are wanting to do at your wedding reception, you may need to find a venue that is flexible to your needs. For instance, STOKELY allows guests to bring their own food or smoker to cook on the premises. 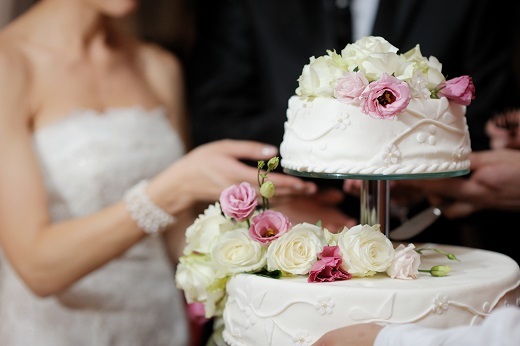 If you have a special addition to your wedding reception, clear it with the venue before booking!